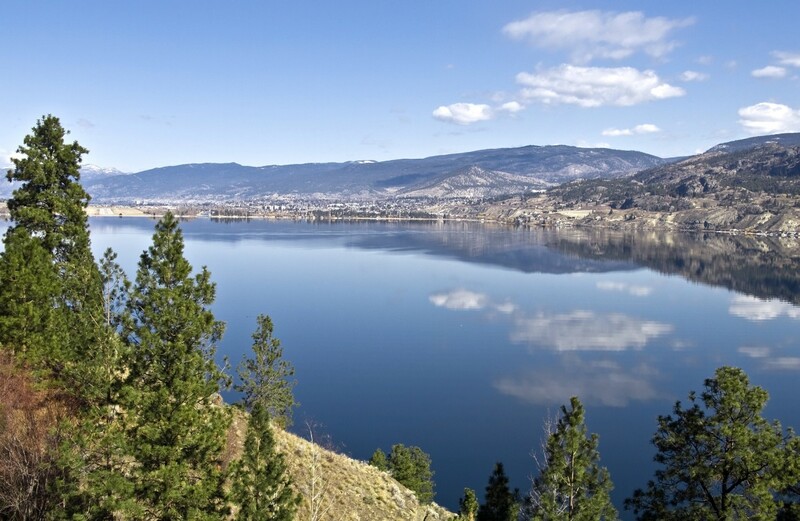 Scroll through our current Reasons for Concern that highlights lakes and rivers in the Okanagan Valley and Region 8 that are experiencing difficulty in sustaining vibrant fisheries. Fisheries conservation and restoration in our region requires public and private sector support and awareness is the first step to addressing the plight of our local fisheries. Sadly, over the past 100 years the fish stocks on Okanagan Lake, such as the once huge Kokanee run that native peoples said made the river ‘run red’, have declined enormously and some species have even disappeared and been effectively extirpated due to dams on the both sides of the border, the channelization of Mission Creek, urban development and private docks resulting in the loss of river and lake shore spawning habitat. The introduction of Mysis shrimp in 1966, that ironically compete with juvenile Kokanee for zooplankton, was another negative impact despite being introduced to feed adult Kokanee and increase the run. The waters of Okanagan Lake are currently home to many species both indigenous and non indigenous, including Kokanee salmon, the native strain of trophy Rainbow Trout exclusive to the Okanagan, as well as Lake Trout, Burbot, Northern Pike Minnow, Mountain Whitefish, Lake Whitefish, Carp, Sucker, Bass and Pumpkin Seed. Originally the fishery also included, according to First Nations oral history, Sockeye, Chinook and Coho salmon, Steelhead and Sturgeon. 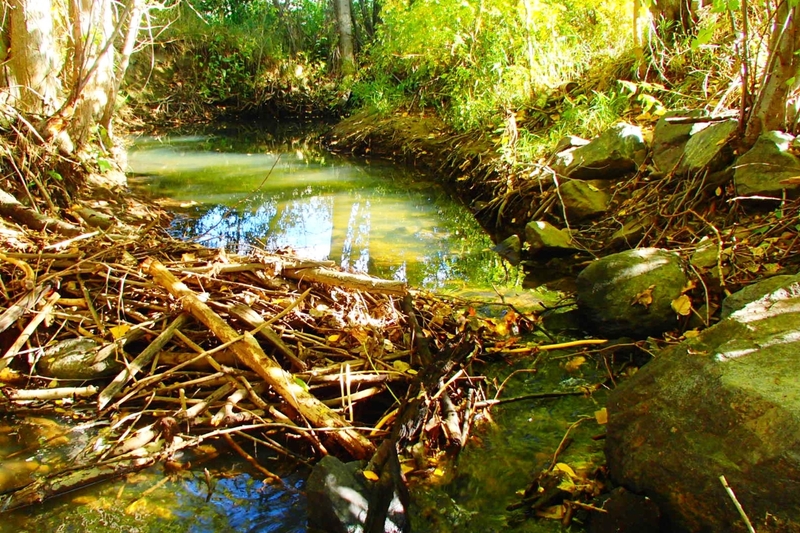 Efforts towards the reparation of some of these fish runs are currently underway. The Okanagan Fisheries Foundation was formed in part due to extreme concern for the future of Okanagan Lake’s fishery, however with significant stream spawning enhancements, lake monitoring via creel surveys and data from ‘catch & release’ tournaments, together with the implementation of informative and appropriate signage, and increased regulation and enforcement, we believe Okanagan Lake’s fishery can rebound and again provide fantastic recreational and sport fishing, and cultural & economic benefit to the region. Mission Creek is the most culturally and ecologically important river system in the Okanagan Valley, and has a long and checkered history due to its location and it’s propensity for seasonal flooding of surrounding land, which for eons was a natural flood plain and estuary for local wildlife and native fish species. Over time it has lost more than 80% of its fish spawning and rearing habitat, 75% of it’s wetland areas and 60% of it’s length due to misguided human intervention including diking and channelization, in order to control flooding and increase arable and utilizable land in Kelowna around areas like Swamp road and further afield. The Mission Creek river system continues to be vital to the once plentiful river spawning Kokanee and trophy Rainbow Trout populations of Okanagan Lake. 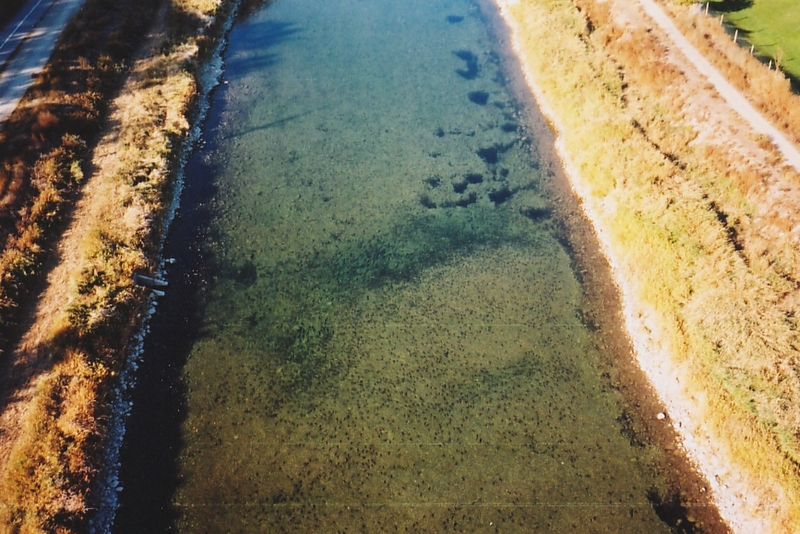 A great deal has been done to improve the health of the river system in the last two decades by both non government and government groups, such as the Kokanee spawning channel that is well cleaned and maintained each year and may have been the only thing that has saved the river spawning Kokanee from extirpation. The creation of the Mission Creek Regional Park and Greenway has also been a significant success, along with the Environmental Education Centre and the MFLNRO’s Mission Creek Restoration Initiative, which began in 2002. This initiative continues to this day, is now part of an effort to bring back the meandering bends of the river and connections to creek tributaries that provide productive spawning habitat and help to mitigate seasonal flooding. However inconsistent water flows, a current lack of productive spawning habitat and human impacts such as personal diking and other in stream activities like gold panning, continue to negatively impact the rivers ability to rear fish and provide sustainable fish stocks to Okanagan Lake. A lot of work is yet to be done in order to guarantee Mission Creek’s potential to become a prolific fish producer once again, and thus the future of Okanagan Lake’s fishery hangs in the balance. Please go our resources page to access more information about continued habitat restoration efforts and groups you can support. 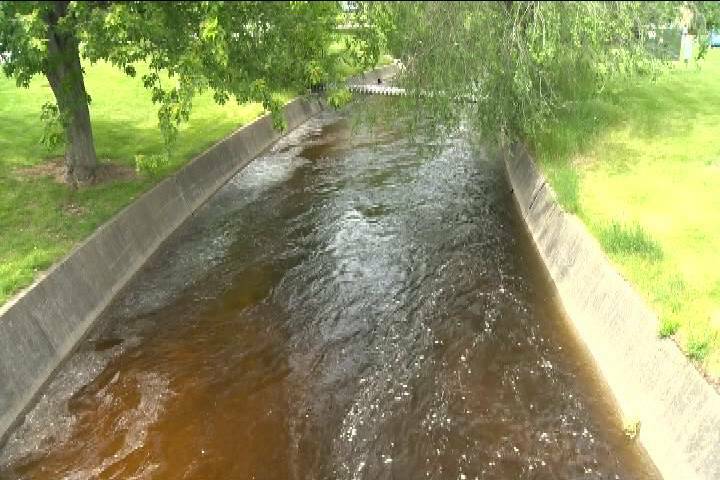 Immensely popular among anglers, it is important to check the regulations as some of the Kettle River is classified waters and is now a catch and release only. Proper catch and release techniques must be followed as it is a fragile resource and Rainbow trout in low water are very sensitive especially on warmer days and in the peak of summer when the river is experiencing higher water temperatures. Trout Unlimited Canada’s Okanagan Chapter is currently working with other partners to improve conditions along the river through education, signage, restoring flows and enhancing fish habitat. To support restoration and enhancement projects on the Kettle River please become a member of TUC Okanagan at tucanada.org. Wood Lake is one of the prime Kokanee fisheries in all of Canada! The fish species that reside in Wood Lake are include Kokanee, Rainbow Trout, Lake Trout, White Fish, Pike Minnow and Yellow Perch and others. Thanks to efforts from local volunteer groups such as the Oceola Fish & Game Club as well as the MFLNRO, much effort has been put into managing this fishery. From Kokanee egg incubators being used to assist in bringing back the Kokanee stocked during the low fish periods to riparian and spawning habitat rehabilitation; all these efforts have helped sustain this fishery. In the past 5 years Wood Lake has experienced a rapid decline in Kokanee population resulting in reducing the recreational fishery to minimal periods. The decline of the Kokanee population is due to numerous factors; from lack of water flow for fish spawning habitat; in lake water conditions and lower dissolved oxygen levels due to algae blooms. The Wood Lake Kokanee population is slowly improving but will require much focus and efforts from all stakeholders in the future to rehabilitate this fishery. The Wood Lake Kokanee fishery is worth over $1 million dollars to the local economy! Middle Vernon Creek, located between Ellison (aka Duck) Lake and Wood Lake, is the primary tributary for Wood Lake. The creek provides optimum spawning habitat for the natural Kokanee population that resides in Wood Lake. Over the past two decades the lack of water flow of Middle Vernon Creek has been a growing concern. Due to lack of water flow throughout the year and the amount of water shared by stakeholders; there is an ongoing challenge for adequate water flow for fish spawning habitat. 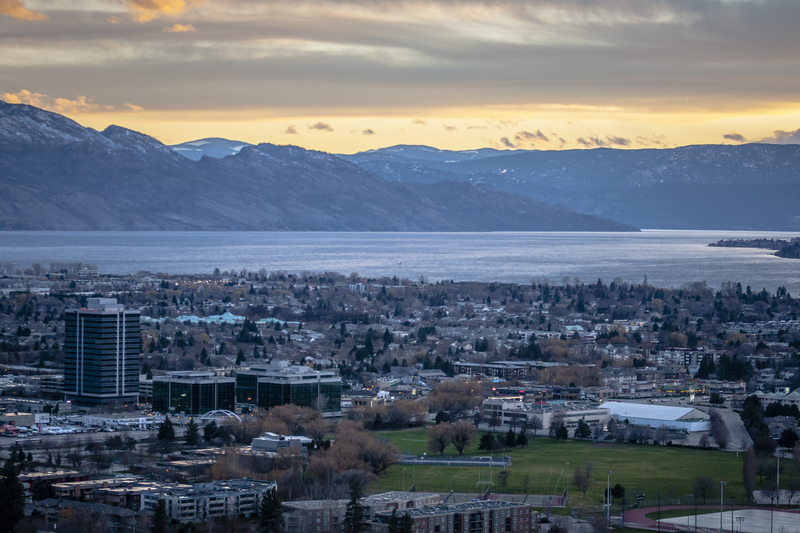 Thanks to collaboration between organizations such as the Oceola Fish & Game Club, the Okanagan Water Basin Board, District of Lake Country and UBC-Okanagan there are currently studies underway to create a water usage plan for all stakeholders. 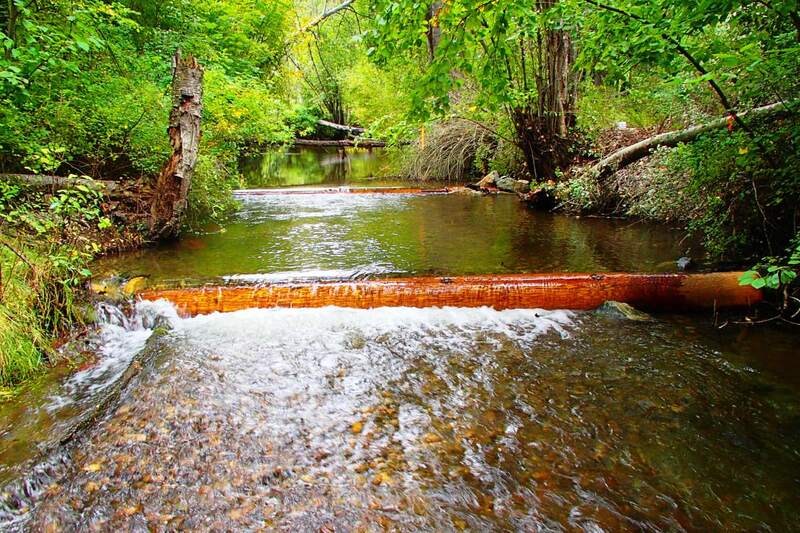 Middle Vernon Creek not only plays a vital role for Kokanee spawning habitat, but it also provides the freshwater needed to refresh, oxygenate and cycle the water in Wood Lake. 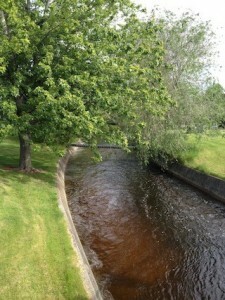 This water flow helps lower water temperature for in lake fish survival and reduces the over abundance of algae blooms. Each year local volunteer from groups like the Okanagan Fisheries Foundation and the Oceola Fish & Game Club assist the ministry with a Kokanee counting fence project on Middle Vernon Creek. The data collected through these volunteer efforts are vital for science based fisheries management for the Wood Lake Kokanee population. 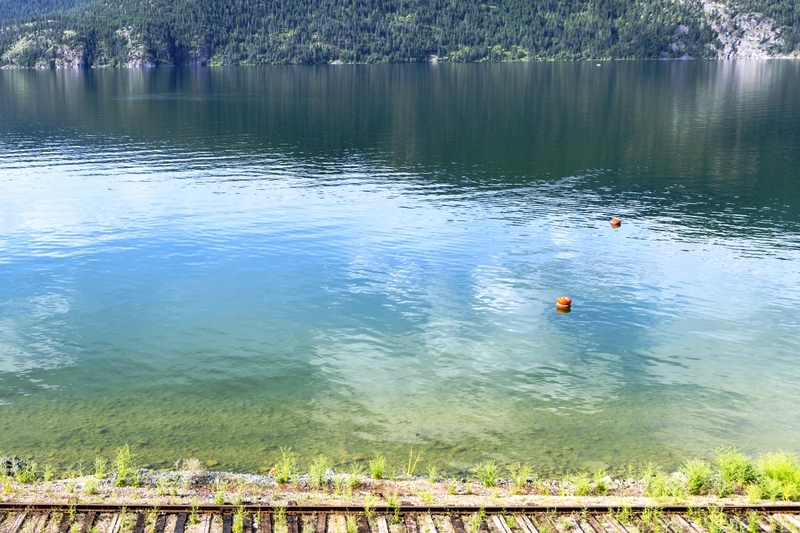 Kalamalka lake, known as the “The Lake of Many Colors” is host to Kokanee, Rainbow Trout and trophy sized Lake Trout, among other local course fish species and carp. Once home to a million fish run of Kokanee that is no more, the Kokanee fishery on Kalamalka has rebounded somewhat with anglers reporting catches of fish as large as 8 pounds, close to world record size. The Rainbow fishery however is much slower and not as good as in the past, but fish as large as 10 pounds are caught, but rare. The Lake Trout where introduced in the 1970’s by the Ministry of Fisheries and along with Mysis Shrimp and since then the Lake Trout have adapted well to feeding on the Mysis and Kokanee. Fish over 30 pounds were not uncommon until recently and 15 to 20 pound fish were the norm but unfortunately this has diminished as of late due to fishing pressure, slow rates of reproduction, death due to barotrauma (bringing fish up to quickly from depth) and/or high water temperatures, and the size has and frequency of Laker catches has diminished where now a 20 pound plus fish is a rare trophy and catching one takes far more time and effort than some anglers care for. The Okanagan Fisheries Foundation would like to see this fishery studied, further regulated and maintained as a trophy Kokanee, Rainbow and Lake Trout fishery, and with some simple regulation changes and angler education, we believe this is an achievable goal with significant economic and recreational benefits. These issues can almost certainly be linked to the overall decline of stream-spawning Kokanee over the past 30 years. With between 7000 and 20,000 stream spawning Kokanee still utilizing the creek each year, the health of Coldstream Creek is paramount to the survival and long term health of Kalamalka Lake’s fishery. 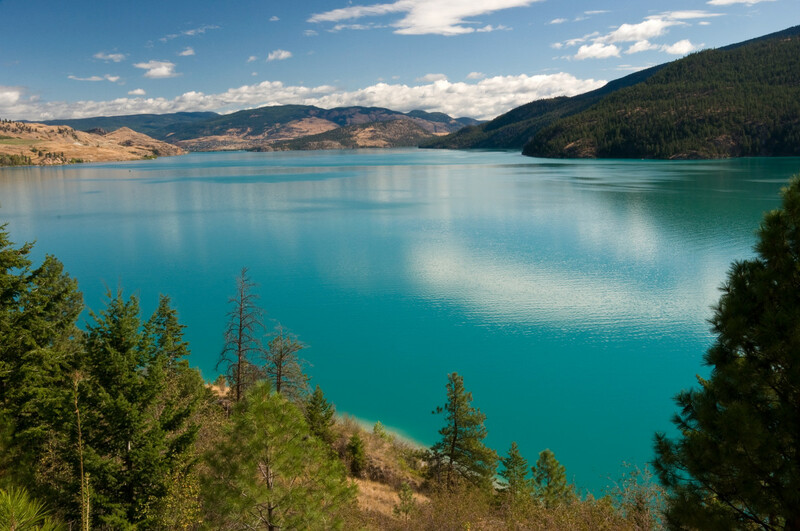 Skaha Lake is more known for its water sports rather than a fishery. However it is a very important water body within the Okanagan for our fisheries. With the reparation of the sockeye run to the Okanagan Watershed, Skaha Lake provides the some of the finest spawning habitat and freshwater rearing for young Okanagan Salmon. It is also a nutrient rich lake that provides a healthy habitat to Sockeye fry that reside in the lake for up to a year until they are ready to make their run to the ocean. 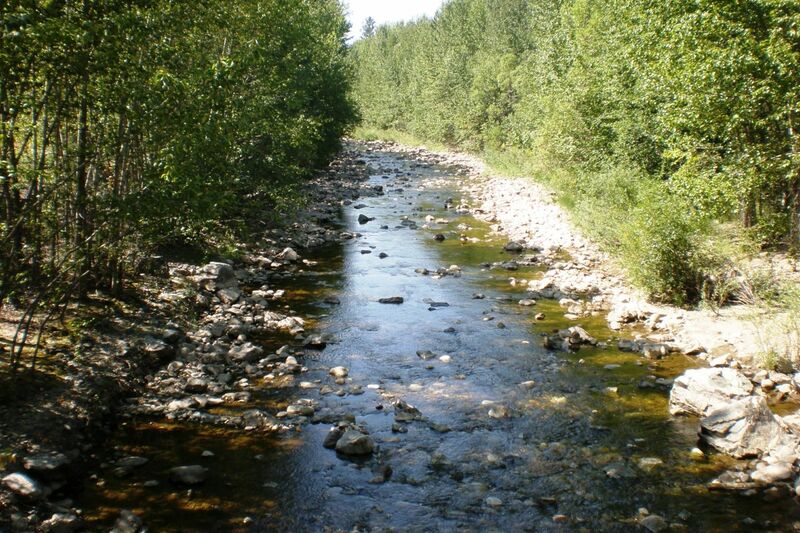 This also provides a great source of food for native and resident Rainbow Trout and Kokanee which have seen a resurgence due to the re-introduction of the sockeye. Skaka’s water levels are manipulated and maintained by two dams, one on the north end of the Penticton Channel and one at the south end of the lake at Okanagan Falls. The dams are used to control the water flow throughout the Okanagan River system. Controlling the water level of Skaha Lake during the salmon spawning periods helps reduce thermal barriers (high in stream water temperatures) that can negatively effect returning salmon and can cause fish kill. Currently there are studies being conducted on Skaha to examine the relationship between the native Kokanee and Sockeye salmon, within the lake. Skaha is also a very popular local fishery for small mouth Bass, as well as Kokanee, and Rainbow Trout. Prior to 1910 the portion of the Okanagan River that flows between Okanagan Lake and Skaha Lake was all natural – complete with meanders, multiple channels and oxbows. All fish species could migrate freely upstream into Okanagan Lake. Alterations were made for navigational purposes and in 1914 the first dam was installed at the upstream end. The current dam and channeling of the Penticton Channel was completed in the late 1950s and restricts fish passage into Okanagan Lake. Despite the de-naturalization, the Channel is still the main spawning stream for Rainbow Trout, Sockeye Salmon and most noticeably, Kokanee, which number between 20 and 100 thousand annually. The Channel is also host to several other fish species including Smallmouth Bass and Northern Pike Minnow. However it’s popularity of it as a recreational ‘river float’ and the potential for high in stream temperatures continue to put pressure on fish and in stream spawning habitat. Recent efforts by First Nations people to re-introduce sockeye into the Okanagan River have included multiple studies on the system along with several spawning enhancement projects like the addition of spawning gravels. Several local groups continue to lobby for and work on rehabilitating the oxbows and the City of Penticton has begun a rehabilitation project on Penticton Creek, a major tributary to the Okanagan River which was also channelized in the 1950’s that decimated it’s fish value and contribution to Okanagan Lake kokanee and trout fishery. 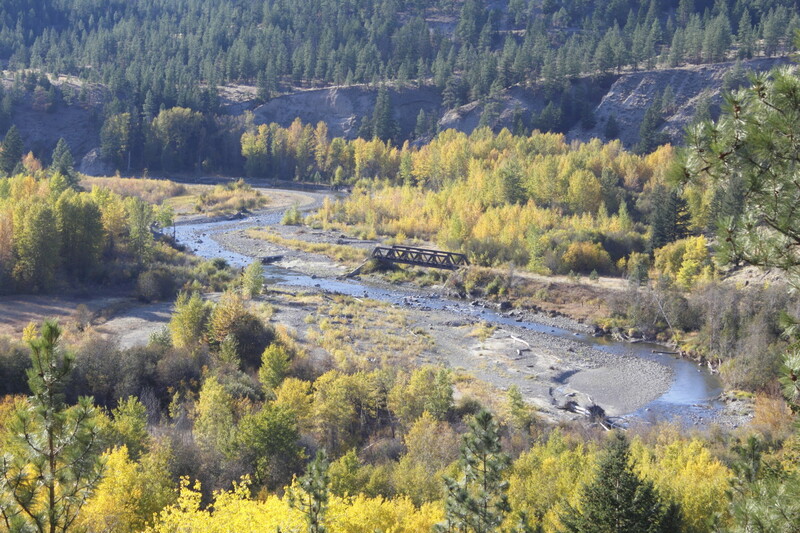 Although the days of unfettered wandering meanders, oxbows, wetlands, pools, riffles and runs are no more, efforts are underway by local groups to preserve the remaining oxbows and the channel, river and creek still hold a significant role in the future of Okanagan fisheries management. 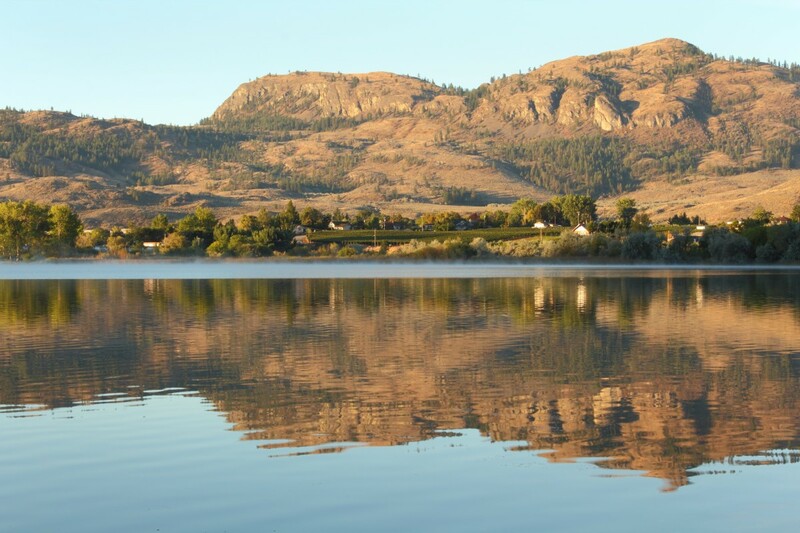 Osoyoos Lake is one of the most nutrient rich lakes in all of North America! It is also one of the best fisheries in all of Canada. Thanks to much effort from the Okanagan Nation Alliance (ONA) and the Department of Fisheries & Oceans, Osoyoos Lake is once again home to a sustainable Sockeye Salmon population. Since the 1940’s, dams were installed along the Columbia River system blocking and altering fish passage to their natural spawning grounds here in the Okanagan. In 2003 the Sockeye hatchery project was created by the ONA to help rehabilitate the natural Sockeye run. The future plans for this fishery is to rehabilitate the sockeye but also Chinook Salmon and Steelhead. We are now seeing Sockeye return to the Canadian portion of the Okanagan system in the hundreds of thousands! Each summer thousands of anglers flock to Osoyoos Lake to fish for these desert run Salmon. Unfortunately though, high in river and lake temperatures are a real issue for these returning salmon as fish kills and high mortality rates have been a harsh reality and can result in less than 20% survival rates as we have seen in 2015. The fragility of this amazing resource is of paramount concern. Not only is Osoyoos home to an incredible Sockeye fishery, it offers a world class small and large mouth bass population. Other fish species that the lake is home to are Rainbow Trout, Kokanee, Black Crappie, Yellow Perch and White Fish. Osoyoos Lake is one of the most exciting new fisheries in British Columbia! The Okanagan Fisheries Foundation has worked closely with both the Okanagan Nation Alliance and DFO via OSCI and whole-heartedly supports the continued rehabilitation of the native salmon populations and runs. We actively participate in the Okanagan Salmon Community Initiative’s Steering Committee, which gives fishers a chance to participate in harvesting the sockeye for the benefit of all Okanagan’s and works on building a resilient, responsible, community fishery based on respect for our First Nations, our salmon runs and the mutual benefits for our greater community for generations to come! The Pennask Creek is under threat from contamination of its critical spawning habitat and is currently on BC’s most endangered waterways list. 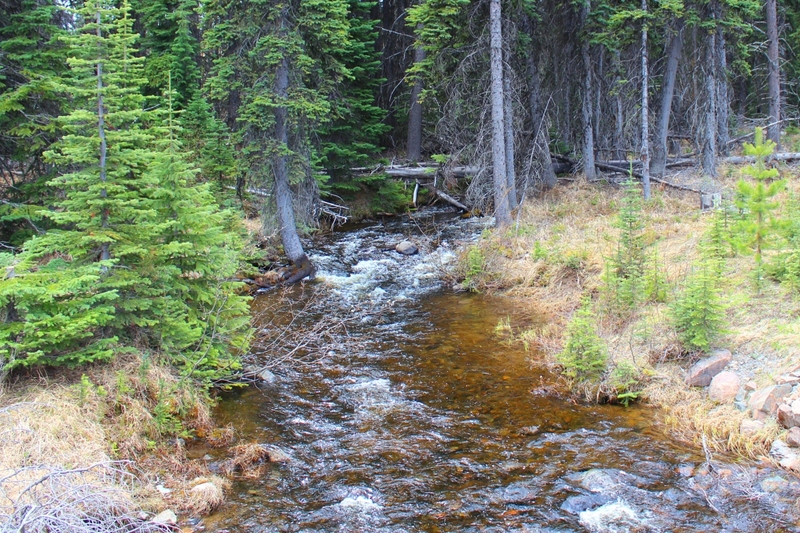 It is one of B.C.’s most important trout-bearing streams, as it provides brood stock for all Southern Interior B.C. lakes. The annual value to BC in fish production in this system is estimated at $30 million and the run is rumored to be the largest freshwater spawning rainbow trout run in the world. The creek flows under the highway 97c and into Pennask Lake and the watershed was made a protected area in 2001. However, when the highway was built by BC Ministry of Transport between 1987-90, construction crews unknowingly exposed pyrite-loaded rocks to air and water which triggered a process known as acid-rock drainage or ARD, which poses a deadly threat to fish and aquatic life in general through the acidification of the water and elevated concentrations of sulphate and metals such as iron, zinc and aluminum. The resulting run off goes into what is now known as Highway Creek, and then into the Pennask Creek and has lead to its contamination. Attempts by the Province to resolve or keep potential damage to a minimum are ongoing but continue to be a major concern. For more information and to provide assistance please go to the Links provided and join or donate to the cause through our website. One of Okanagan Lakes largest tributaries, Penticton Creek runs through downturn Penticton and once provided critical spawning and rearing habitat for Kokanee and Rainbow Trout. The creek was channelized and reconfigured in the 1950’s in order to control flooding, the result was extreme lost of spawning habitat, increased and often intense flow rates and the loss of native vegetation that provide shade and a home for food sources for the fish in the creek. The creeks ability to provide suitable spawning habitat, nurture juvenile fish and contribute to Okanagan Lakes fish stocks was crippled and it lost the capacity to be a major fish producer. It is estimated that 2000 Kokanee enter the creek each year with only 20% being able to make their spawning grounds. Considering the dismal state of Kokanee stocks on Okanagan Lake, the health of Penticton Creek is vital to maintaining the fishery and the potential to improve it. The successful migration and spawning of rainbow trout is also highly dependent on the state of the creek and it’s flows. Thankfully, efforts are under way to restore the creek and have already begun with an 80 metre stretch currently being restored near the Ellis St bridge as a showcase or sample project. With the help of grants, the City of Penticton and the Penticton Creek Restoration Committee are aiming to balance flood protection and fish habitat needs, and revitalize the creek. This is a great example of a community seeing the value of local waterways and how with a little, or a lot, of help from grants and local initiative, we can repair the damage done by channelization. The Penticton Creek is not out of the woods yet but we are hopeful that it may again be a major contributor to the Okanagan Lake fishery.